Really enjoyed this tour!! John, the tour guide was great! The staff was extremely helpful. 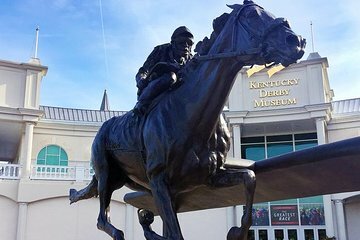 Learned a lot about the Kentucky Derby and Churchill Downs that I didn't know before. The movie in the round was fantastic. We loved how we could take as much time as we needed to tour the Museum, so we could take in everything. We would definitely recommend this tour to anyone coming to Louisville!! The museum is really interesting. A must see for any one with interest in The Derby. The tour of the grounds is pretty special when you think of all the champions that have gone down the very path you are following.